Royal Estates of Wichita Falls, located in Wichita Falls, Texas, has been a premier residential retirement community since 1998. Offering Wichita Falls Independent Living, in house home health available 24 hours a day, and in house rehabilitation services and the experienced and caring Royal Estates staff is committed to helping you live life to the fullest. With newly renovated facilities recently completed in December 2012, Royal Estates strives to maintain the most up-to-date amenities. The residency boasts 142 living units, including studio, 1 bedroom, and two-bedroom options. In addition to private residencies, Royal Estates offers several communal spaces, such as a spacious multi-purpose room, activity rooms, and a well-appointed private dining room. Residential input is always encouraged and often incorporated into the community. Suggestions from residents are always encouraged. We want to make your dream a reality! Royal Estates prides itself on the wide variety of amenities that are available to residents. Live entertainment events are hosted monthly, and festivals such as the Fourth of July Picnic and John Wayne Day BBQ are just some of the popular events we host throughout the year. From the spiritual to the spritely, Royal Estates has something for everyone! Wii bowling, horseshoes, bean bag baseball, Bible studies, and Sunday service are just a few of the activities the community offers. Royal Estates also arranges out-of-town trips for its residents. Excursions have included Branson, Missouri and Nashville, Tennessee. Whether staying in or going out, Royal Estates provides ample opportunities for personal enrichment. Royal Estates is proud to offer Rehab Care. On-site physical, occupational, and speech therapy help residents improve their health or transition after medical setbacks. Our Wichita Falls Independent Living community also offers several fitness courses and is conveniently located within two miles of both local hospitals. Royal Estates is committed to providing residents the resources needed to maintain health and vitality. We care about not only the physical and emotional well being of our residents, but their financial health as well. We assist our Veterans in the application process for Veteran’s benefits by setting appointments with the Veteran’s Benefits Representative from Sheppard Air Force Base. With an all-inclusive lease offering 3 meals a day, weekly housekeeping, activities, transportation and no monthly utilities, makes Royal Estates an economical choice. Explore nearby cities like Burkburnett. My name is Patti Means and I have been the Executive Director at Royal Estates of WF for the last years. 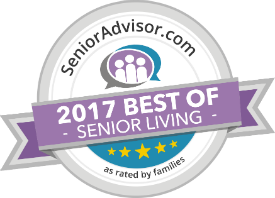 I started in the Senior Living Industry over 10 years ago as the Business Office Director before becoming the Executive Director. By believing the core values of Senior Lifestyle, HEART, I have been able to mold a team that has helped this community succeed. I am a leader that is not afraid to be on the front line and do whatever task needs done. I love our residents and their families and have an open door policy at all times. I have had the joy and pleasure of taking care of grandparents, parents and in-laws and have had to be on both sides of the senior living industry. I believe that has helped me understand the needs and fears of moving a loved one into a community and making sure they are safe. “From the very beginning, Royal Estates has made the transition of moving my loved ones a very easy experience. We are always greeted with positive attitudes and professionalism. Angel and the entire staff have been helpful every step of the way. The facilities are always clean and newly renovated. 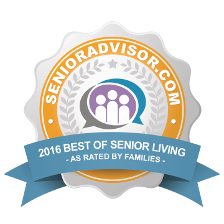 We would recommend Royal Estates to anyone looking for an assisted living home for their loved ones.” – Stephanie G.